The University of Glasgow have received over 430,000 undergraduate applications for business and management courses and a further 210,000 for accountancy and finance in a surge of interest that has been linked to Rangers Football Club’s return to the SPL. Staff at the university’s applications and recruitment have been overwhelmed by the demand, as have workers at Queen’s University Belfast, Trinity College Dublin and Edinburgh’s Open University, with the respective departments receiving a 400% spike in would-be students. 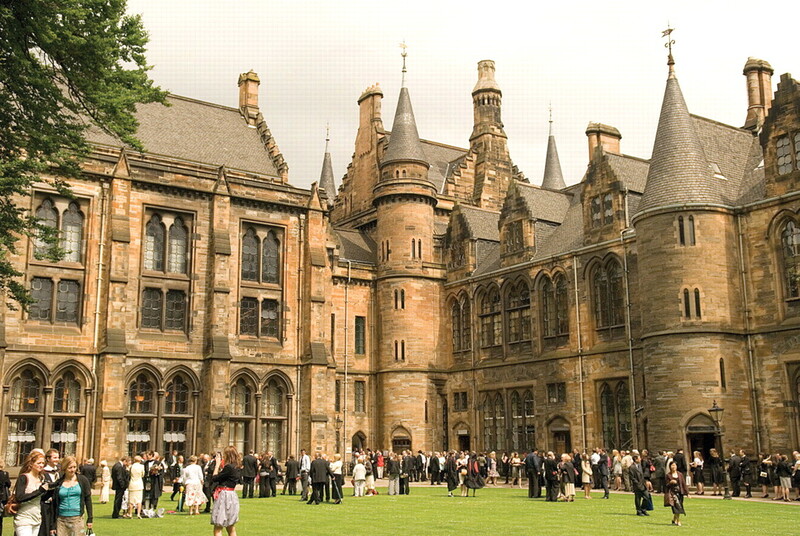 And despite the best efforts of Glasgow’s esteemed halls of learning, the vast majority of the applicants have been turned down due to a combination of insufficient qualifications, the university only having a capacity of 25,000, and the use of sectarian hate speech in personal statements. An employee processing the applications at UCAS told The Daily Belter that they became aware early on of the disproportionate number of applicants seeking placement in business and finance fields, but assumed that “it was some kind of joke, or an Anonymous thing, or a meme”. However, most of those applying were verified to be very, very real, and thus the respective universities were forced to siphon through each and every application in the hope of finding candidates genuinely seeking a vocational career in those sectors, with a staff member at Glasgow admitting “we had to work 22 hour days and I shat myself unknowingly”. Data analysts have indicated that this unprecedented rise in applicants comes as a result of Rangers being promoted back to Scotland’s top flight, which will see them reunited with arch-rivals Celtic Football Club and thus bring their fierce fan bases together on a regular basis, which has also caused a sharp drop in the number of applicants for Police Scotland College. It is believed that successful infiltration at the University could result in the end of Radio Clyde. Derek Caucasian, who was initially brought in by the University of Glasgow when there were suspicions of fraud, has openly stated that “most of the applications” make it very clear that the applicants were only interested in “discerning the legitimacy” of Rangers Football Club Ltd in the wake of Rangers Football Club Plc being liquidated in 2012. He told the Belter: “You just have to pick up a couple of the forms the university received and scan through to understand that these people would study for one semester then immediately drop out once they knew whether a football club and the business owning it are the parts of a sum or differing entities. The Chancellor of the university, James Dice, has moved to reassure those seeking sincere enrolment that their applications will be properly processed, though the sheer volume means there will be a significant delay and the expectation of a large amount of the workload being outsourced to India, despite claims by a Rangers fan group that this measure will favour Celtic fans. The Daily Belter was able to acquire a number of the so-called ‘punter appos’ for reading purposes, including one from a Jamesy O’Lagg who wrote that he wanted to study Business & Management because “gotta ken if dere zombies or bairns”, while Owen Clingan stated that he desired a place within Accountancy & Finance so he could “get Tims told”. Rangers were demoted to the fourth and lowest tier of Scotland’s professional football league after being liquidated in 2012 following the disastrous attempt by fugitive Derek Whyte to bring “Forrest Gump whimsy” to the Scottish game, with loveable racist Charles Green later forming Sevco Scotland Ltd to acquire the club and retain their 12,000,000 trophies. They will renew their charming hostilities in the first Old Firm derby of the season on 10th September at Celtic Park, bringing an end to four years without hacking-cough songs detailing the glory of historical slaughter and persecution and the respective superiority of believing the Bible is or isn’t the only textbook worth considering as a peaceful and neighbour-loving Christian.